It interesting to see the differences between the three main operators in Devon & Cornwall when it comes to service changes. First South West (KERNOW) tend to changes all their services in one go twice a year with a few others as needed throughout the year. Plymouth Citybus change their services quite frequently but tend to change small groups of services on the same date. Stagecoach dont seem to have a system and just change small groups of services as and when, with quite a few timetable changes scheduled most months. This week sees the end of summer services from First South West, along with a few late changes for services in and around the Bodmin area due to road works. I am now looking forward to a quiet period in Cornwall at least as this post has taken me hours to put together! No significant changes except to cater for adjustment of Penryn College school day. Monday to Saturday daytime service reduced to every 30mins for winter. Last bus from Penzance will run at 2330 to connect with train from London Paddington. Sunday service reduced to hourly during daytime and withdrawn in evenings for the winter. 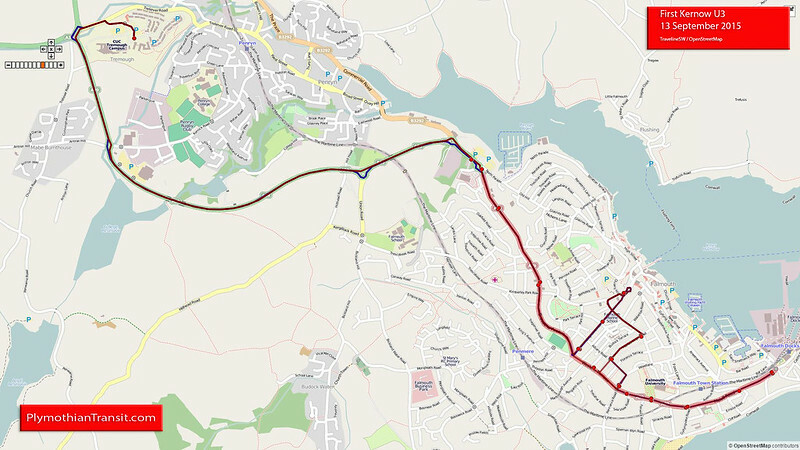 Due to the Bodmin Cycle and Pedestrian improvement works, the service 11A cannot serve Priory Road including the Morrisons Bus Stop and will have to be diverted as highlighted below in the route discription (Bold underlined section). 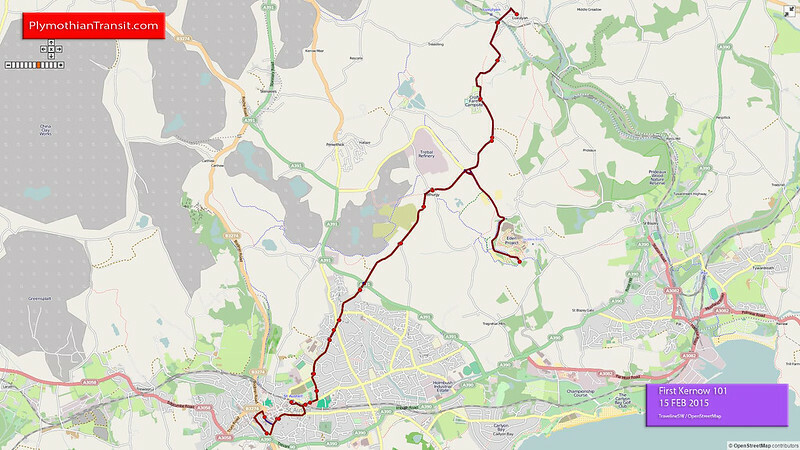 There will also be one way restrictions placed on Beacon Road Rail Bridge and Harleigh Road. This diversion will take effect from 12th September 2016 and the closure notice is in place for 80 days. 10 10A: Linked with service 17 to provide journeys across Penzance town centre. Buses will be renumbered as 17 or 17A. No significant changes to times except that the last bus from Penzance to Pendeen will leave at 2330 to connect with train from London Paddington. Frequency on each section unchanged. No Sunday evening service to St Ives for the winter. 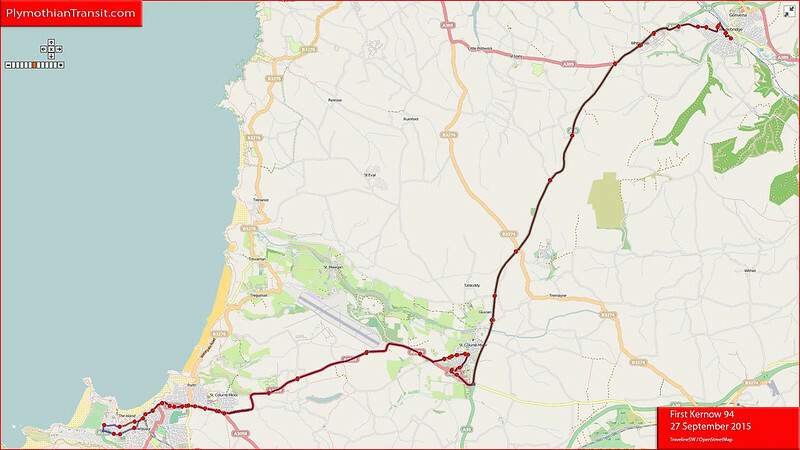 For approximately 9 months these routes will terminate at Bodmin Mount Folly due to extended roadworks between there and Morrisons. Traveline have time starting from 4th September? Winter timetable introduced but with additional mid morning buses until the end of October and from early April. Due to unexpected passenger demand we have added an additional journey to the service 72. From Tuesday 6th September 2016 we will be introducing a 07:10 departure from East Looe Bridge which will provide passengers an additional link into Plymouth. Changes to times but still hourly for most of the day Mondays to Fridays. Reduced to every 90 minutes on Saturdays. No service on Sundays except on 87 between Newquay and Holywell Bay. Some times changed to tie up with autumn rail timetable. There will be minor changes from 11 December when the winter rail timetable starts. 0300 (Wednesday to Sunday mornings) Falmouth to Penryn Campus extended to Truro.